Cedar mulch is a medium-light brown mixture of cedar bark and cedar chips. The bark part of it is stringy or hairy and a darker brown, the wood portion is a lighter colored chip. The chips are mostly 1” to 2” long and ¼” to 1/2” wide. It looks and smells really nice, especially when fresh. Cedar mulch keeps it color better than hardwood mulch or barkfines partially because it starts out lighter. It is very consistent in size and color since it is all from one tree species. Cedar wood and cedar bark are naturally resistant to bug infestation. The cedar wood portion of this product is somewhat more resistant to decay than hardwoods. 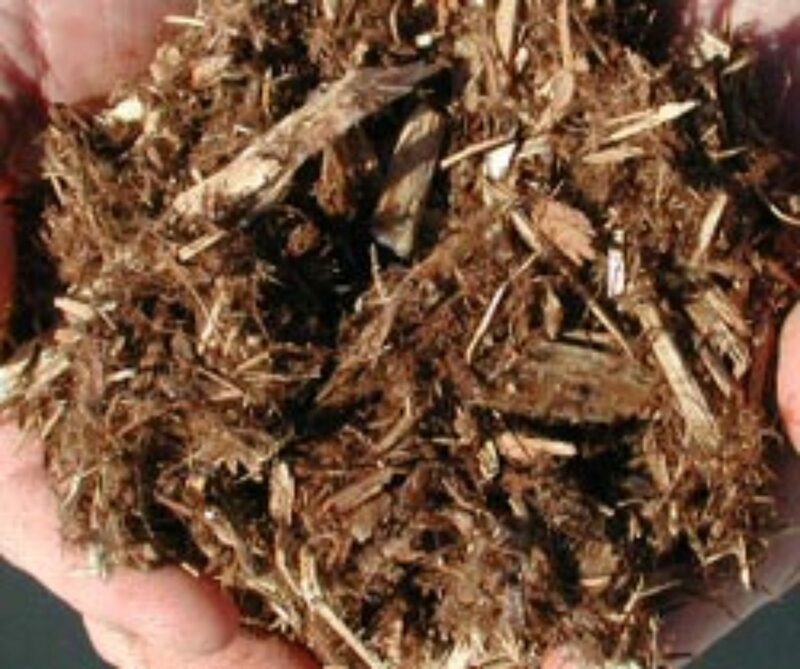 Cedar Shredded Mulch is produced the same way as the hardwood mulch. Much of the cedar delivered to SW Michigan comes from the Upper Peninsula.